All over the world, there are a few men and women, we always look up to, because they have achieved so much in life. This is most visible in the world of entertainment and sports, because these men and women, catapult us to a world that we might not be able to see every day. National and international sporting stars not only give us a reason to cheer for your own country, but also for hard work and talent. Similarly, stars of the big as well as small screen allow us to dream about worlds that might not even exist in reality. However, we need to realise that even celebrities are human beings and often undergo the same type of problems that we go through, including hair loss. But given that their appearance plays a great role in their success, these celebrities will try to cover up their baldness, as soon as possible and as effectively as possible too. 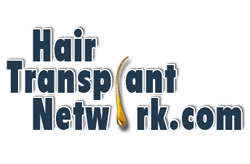 While many celebrities have tried to keep their hair transplants under wraps, there are many who have spoken about it openly and some have even advertised the places, where they have gotten their procedures done. Here is why celebrities have hair fall? Almost all celebrities follow a strict diet and ensure that they work out on a regular basis, in order to maintain how their body looks. 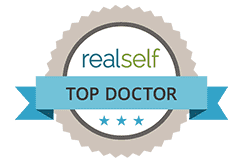 However, the same diet and work out could actually spell disappear with hair, because when the body does not get sufficient nutrients and there is too much testosterone in the body, due to the workouts, hair will fall. In addition, there is the usage of a lot of hair care products, many of which contain harmful chemicals that damage the hair follicles. It is also important to understand that most celebrities spend most of their time either under harsh lights or the harsh sun, both of which can damage the hair, beyond repair. 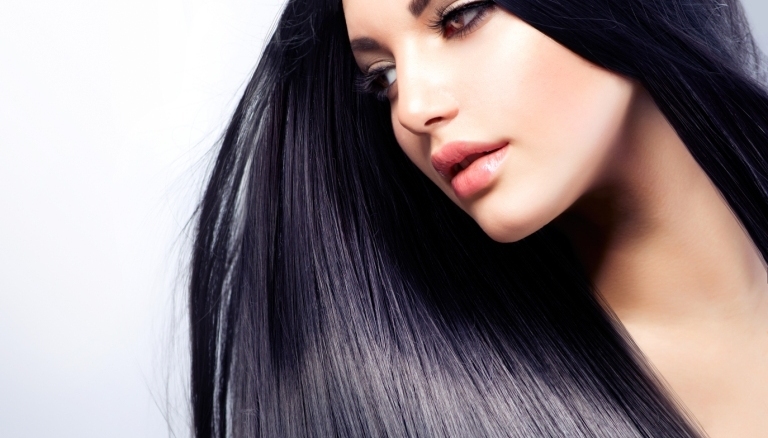 Actors also have to have their hair coloured, blow dried, straightened, crimped or curled for their roles, all of which spell trouble for their tresses. Then there is the fact that they often don’t get enough sleep or rest, both of which are actually essential for healthy hair. 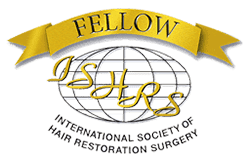 In this article, we will take a look at some of the most famous names from the world of entertainment as well as sports, who have undergone hair transplant or restoration procedures. Salman Khan – Perhaps one of the biggest names in the Indian movie industry, Salman reportedly headed to Dubai to get his hair transplant done and hide the seemingly obvious bald patch on his head. Sanjay Dutt – It is said that Dutt’s career had started taking a hit, because of his depleting hair, which is why he underwent a hair restoration surgery and now is back to having a head full of hair. 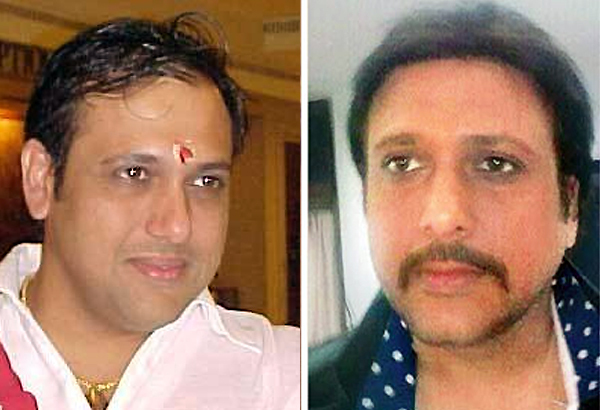 Govinda – In his heydays, Govinda was known to have great looking hair, however, with age, came hair fall, and in order to keep his own screen persona going strong, he had to undergo the procedure. 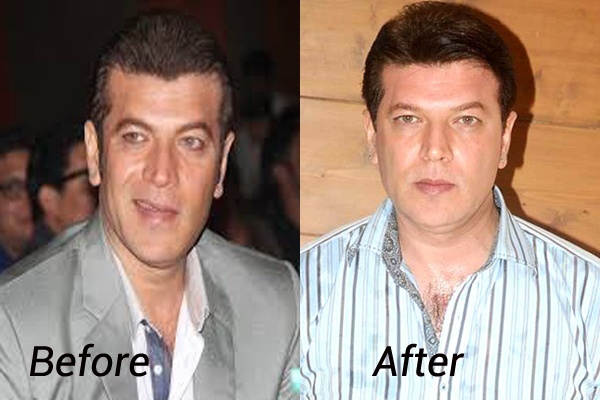 Aditya Pancholi – Although he started off as the lead for several Hindi movies, he eventually moved onto being the baddie. However, knowing that even baddies need hair on their head, Pancholi needed to undergo a restoration process to make sure he looked great on screen. Himesh Reshammiya – Although he started off as a musician, composing music for numerous movies, he recently shifted gears to acting. And before making the shift, he also ensured that his hair went back to looking lush. 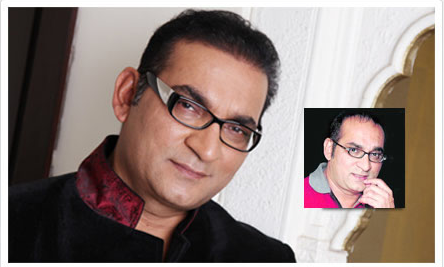 Abhijeet Bhattacharya – He is a renowned singer in not only in the Hindi music industry, but also Bengali movie industry. 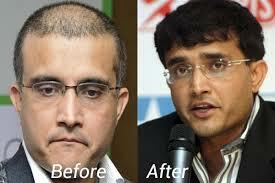 His receding hairline was suddenly replaced by a full head of hair, indicating a hair restoration surgery. 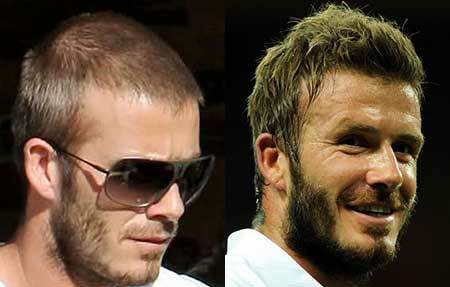 David Beckham – Perhaps the most renowned names in the world of sports and considered a god in the football world, Beckham also has the added pressure of looking good, because he is married to Victoria, former Spice Girl. 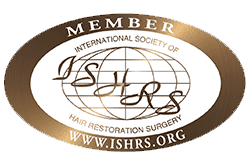 When he noticed that his hair was not looking great anymore, he headed for a restoration procedure. 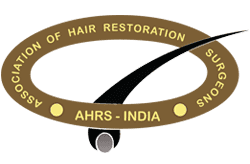 Sourav Ganguly – The former captain of the Indian cricket team might have had a great time on the field, but things were not all hunky dory in the hair department, which is why he chose to get some professional help. Shane Warne – The Australian fast bowler was also losing his hair fast and the hair plugs that he initially chose were more than obvious. 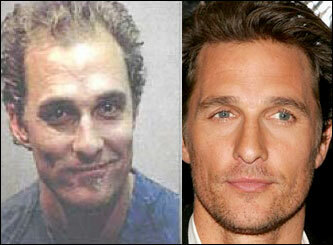 He then decided on the more natural and undetectable procedure to ensure he looked good on and off screen. 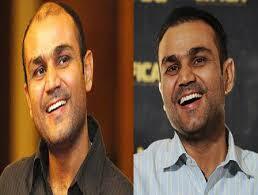 Virender Sehwag – One of the finest opening batsmen the Indian team has ever known, Sehwag started losing hair at an early age, which is perhaps why he opted for a transplant surgery. Wayne Rooney – This football star has undergone hair transplant and a look at the before and after pictures makes the change reasonably clear. Kyran Bracken – This rugby star has not only gotten a hair transplant, but has also spoken openly about the same. Matthew McConaughey – Recent Academy Award winner, McConaughey still has the charming smile and adorable accent, however, his hair needed help and given that he is constantly in the limelight, a transplant seemed like the right choice. John Travolta – Travolta has been around for almost for ever, starting with his signature dance moves in Saturday Night Fever and Grease to serious movies such as Face Off and Swordfish. While his acting has rarely needed help, his hair looked like they did and help they got. 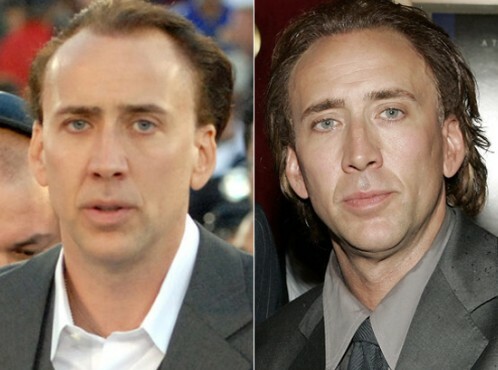 Nicolas Cage – John Travolta’s co-star from Face Off, the supremely talented Nicholas Cage too needed help with his hair and by looking at the present situation, looks like he got it. 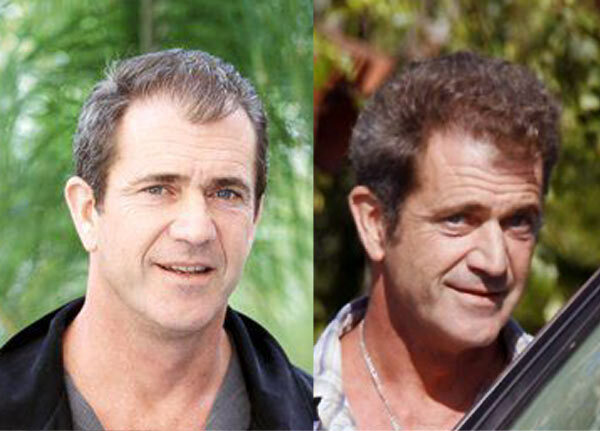 Mel Gibson – Mel Gibson is one of the most well recognised faces from Hollywood and most of us have enjoyed his performance in movies like What Women Want, The Patriot, Braveheart and Lethal Weapon. When he started noticing his hair loss, he knew that the only way to maintain his position in the world of glamour was to get a transplant. 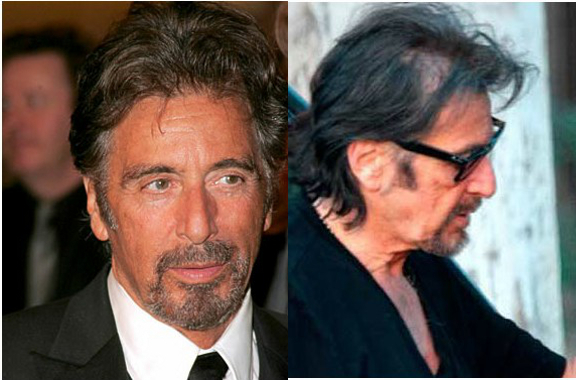 Al Pacino – Starting his career in the late 1960s, Al Pacino gained success and popularity with his role of Michael Corleone in the Godfather movies. He went on to give us numerous more movies such as Scent of a Woman, Donnie Brasco and Ocean’s Thirteen. 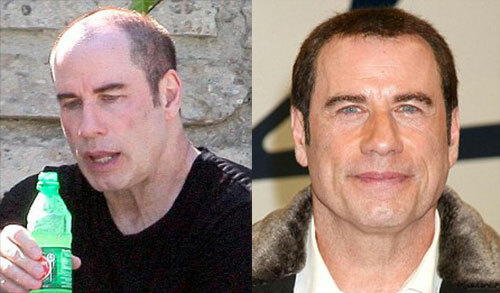 Although, he has not spoken openly about it, photos do seem to indicate that he has undergone a hair transplant. Sylvester Stallone – The action superstar might have given some of the biggest movie hits of all times, including Rocky and Rambo, but his hair unfortunately did not stand the test of time, requiring some medical attention. Sean Penn – Most famous for his role in I Am Sam, Sean Penn too seemed troubled by his hair fall. However, the same seems to have been controlled by a hair restoration expert. 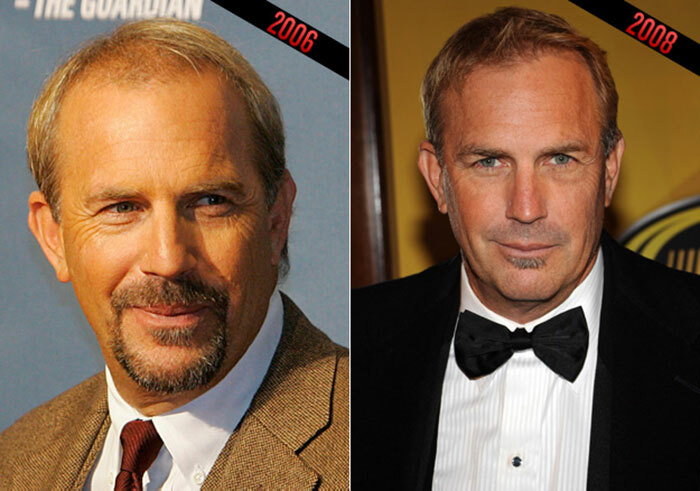 Kevin Costner – Kevin Costner has earned fans all over the world with his performance in movies such The Bodyguard, Dances with the Wolves and For the Love of the Game. But his hair did not show the same loyalty as his fans, which is why he needed to get some medical assistance. Jude Law – Jude Law has won several awards for his performances and his performance in movies such as The Talented Mr. Ripley, Road to Perdition, Cold Mountain and Sherlock Holmes has won much accolades. A look at his before and recent photos will reveal that there is a definite growth in his hairline. Brendan Fraser – While Fraser might have battled mummies and demons on screen, when it came to his hair, it was like he was fighting a losing battle. In the end, he needed some medical intervention to get his hair back to looking normal. Ben Affleck – This super talented actor and director might still be one of the best looking men in the international movie industry, but his hair has gotten some expert help. 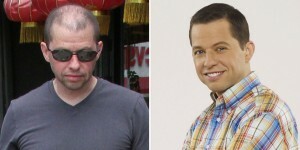 Jon Cryer – Best known for his role of Alan Harper in Two and a Half Men, Cryer had gone almost bald. However, now his hair is suddenly looking lush and full again, indicating to only one thing – a hair transplant procedure. 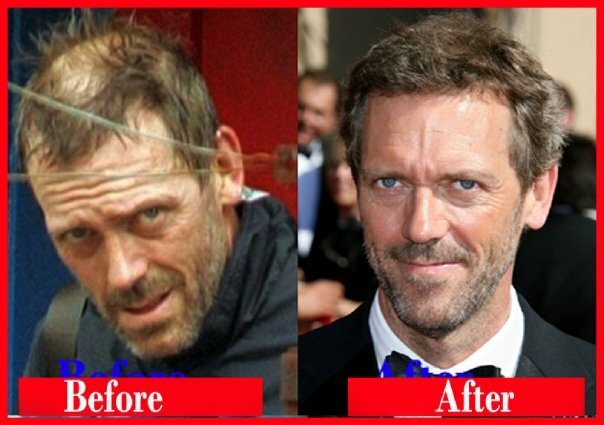 Hugh Laurie – Synonymous with his character of a dark and cynical doctor in House MD, Laurie had hair related issues too, which is perhaps why he considered it most wise to simply get a hair restoration process done. 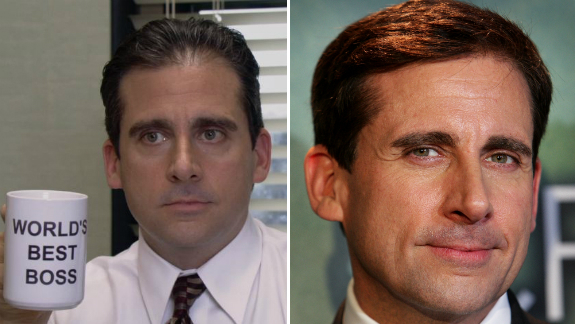 Steve Carell – The funny man of the small and big screens, Carell might not be talking openly about his hair loss, but his photos seem to be telling a different story altogether. Gordon Ramsay – Perhaps one of the most renowned chefs of the modern world, Gordon has become a regular face on television because of his numerous television shows. The constant attention probably made him realise that his receding hairline would need attention too and thankfully he got the same in time. 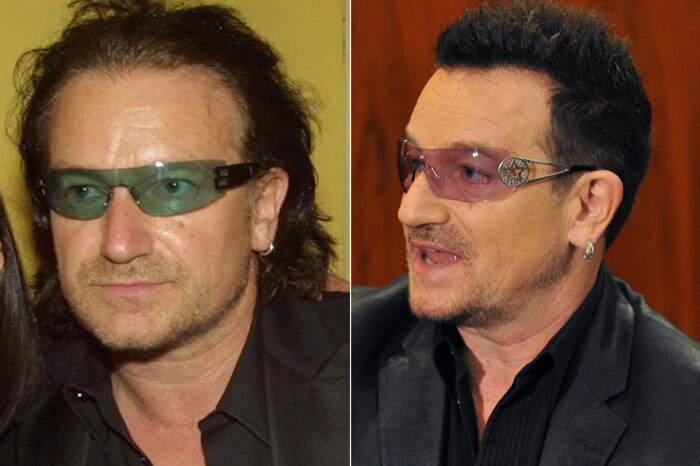 Bono – One of the most iconic singers of the generation, Bono has obviously undergone hair transplant, because his pictures taken a few years back and the current ones, reveal his secret. Elton John – The legendary singer, whose tribute to the late princess Diana still resounds in our minds, was going bald quite quickly. However, timely intervention and a talented hair restoration surgeon made sure that Mr. John still looks good. Joey Fatone – Once a part of N’Sync, Fatone is now a solo singer and has even acted in a few movies. However, he had no issues in getting a hair transplant and even talking openly about it. 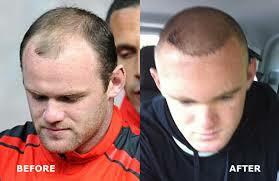 As a matter of fact, he has even advertised for the brand that conducted his hair restoration. 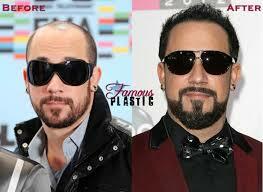 AJ McLean – AJ had gotten a lot of attention during his Backstreet Boys days, but once his heydays were over, it looked like his hair days too were coming to an end. 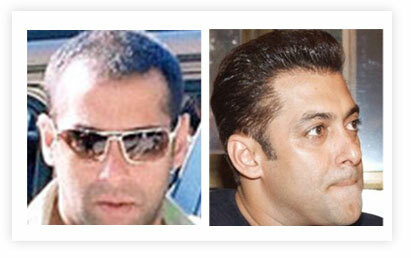 He is one of the few celebrities who have not tried to hide his hair transplant. 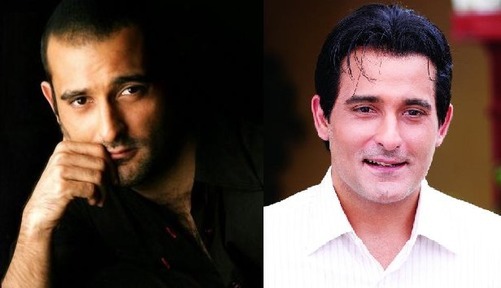 Akshay Khanna – When he first burst on the scene, almost every girl was swooning over his cute smile and his adorable dimple. The fact that he could act as well, proved to be the cherry on the icing. However, his hair and career started to go downhill really soon, which is why perhaps he decided to get a hair transplant, in a bid to revive his professional life. Akshay Kumar – As age started catching up with this ‘Khiladi’, he realised that his body was beginning to show the same. A strict diet and exercise regime ensured that Akshay Kumar maintained his body, but his hair needed a little more help, which is why he got some hair colouring as well as hair weaving, which has breathed a new lease of life to the way he looks on screen. Tamil actor Vijay – Better known as Ilayathalapathy, Vijay has ruled the hearts of Tamil cinema audiences for several years. However, after his interesting hairstyles in his most recent outing Theri, Vijay started having trouble regaining his normal hair. This is when he decided that the only way back to winning even more hearts with his chocolate boy looks, would be through a hair transplant. Mammootty – If you say Muhammad Kutty Ismail Paniparambil, chances are that most people will not be able to identify the person, but the moment you say Mammootty, the image of one of the biggest stars of the South Indian movie industry flashes in front of your eyes. Even though he might not look the age, he is nearing 65, which is that time of life, when your hair starts to bid farewell. There are rumours that Mammootty has undergone a hair transplant, although he himself is not one to admit to the same. Mohanlal – Perhaps one of the biggest names in the south Indian movie industry, Mohanlal has been around for close to four decades and in the years that he has been around, not only has he played innumerable memorable characters but also garnered some of the biggest honours in the country. However, even all this success was not able to stop his hair loss, which is why it is rumoured that he had undergone a hair transplant. The fact that he still has a generous amount of hair on his head, despite being in his late 50s, could be proof of the pudding!